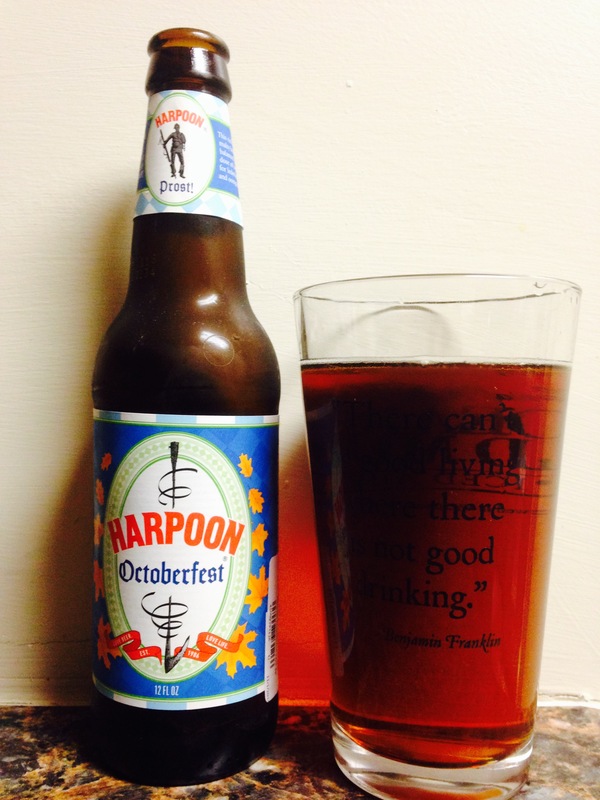 Harpoon brewery gives us “Octoberfest”! It is a malty beer that has a pleasant scent and a very smooth taste! It has a low alc content at 5.3% for an Octoberfest beer but once again Harpoon brewery has provided us with a drink all night kind of beer! 3.5 stars!